We all like to have things we can look at to remember our travels. The problem is, how do we find the room for our souvenirs in both our budgets and backpacks? Here are four simple and cheap souvenir ideas for the entire family to enjoy. They are all affordable, and allow you to continue traveling light for budget purposes. Weavings and other fabric goods are available in stores and market stalls throughout the world. Not only do they pack easily into your luggage, they are an affordable way to commemorate your travels without making your home look kitschy. Some examples of textile souvenirs I’ve personally used in home include camel hair and ikat pillow covers from Egypt and Indonesia, colorful alpaca wool table runners from the mountains of Peru, and a llama wool blanket from Ecuador. Dressy head scarves purchased in a larger size can be used as beautiful piano scarves and window toppers. Another simple textile souvenir idea is to purchase sarongs from various places around the world. They can be used for a number of things, including a beach cover, shower curtain, table cloth and backpacker’s picnic blanket. With a high-quality digital camera, your travel pictures can be featured more prominently than the traditional family photo album. Architectural shots from Angkor Wat or Petra can be matted and framed for elegant entryway decorations. If the natural light isn’t cooperating during your trip, switch your digital image from color to black and white or sepia. You’ll still have a look that’s classic, but the color contrast will no longer be an issue. Tribal photographs, wildlife close-ups, iconic urban images and nature photography can all be used successfully in your home décor. If you’re looking for a souvenir that’s affordable, easily packed and can be used to create a number of different gifts and souvenirs, then you’ll want to give beads the proper air time. 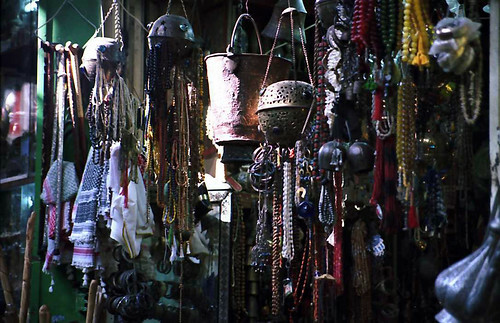 You can make many different souvenirs from beads, and they are available by the strand for a song in tourist markets from Southeast Asia to the Middle East and South America. Necklaces, napkin rings and worry beads are all gifts that grownups can enjoy making for themselves and others after a trip. Beads are also a great thing to have on hand in case you have a few rainy days on the family camping trip this summer. Children can make beaded friendship rings, zipper pulls and key chains from the comfort of the tent or campground lodge. artwork created from simple paper and a rubbing utensil secured over floor art in old churches, on the sides of jungle temples in Cambodia and from old ruins in Guatemala. So you certainly shouldn’t be afraid to dream big. Children might get a kick out of creating Halloween rubbings from some of the old epitaphs in historic graveyards throughout the American West, or using leaves as a vacation nature craft activity. Cheap souvenirs don’t have to look tacky. There are plenty of inexpensive and fun travel souvenirs for children and grownups alike to enjoy. So get out your camera, design some jewelry or take a weaving class on your next international getaway. You’ll have some stylish souvenirs to remember your journey and still be able to stash some cash away for your next adventure. I love collecting smooshed pennies. I have a couple “passports” full of them.